Heat oven to 375°F. Unroll dough; separate at perforations into 12 breadsticks. With knife or kitchen scissors, cut each breadstick in half crosswise, making 24 pieces. Insert shoestring potatoes into baked dough to resemble legs and antennae. 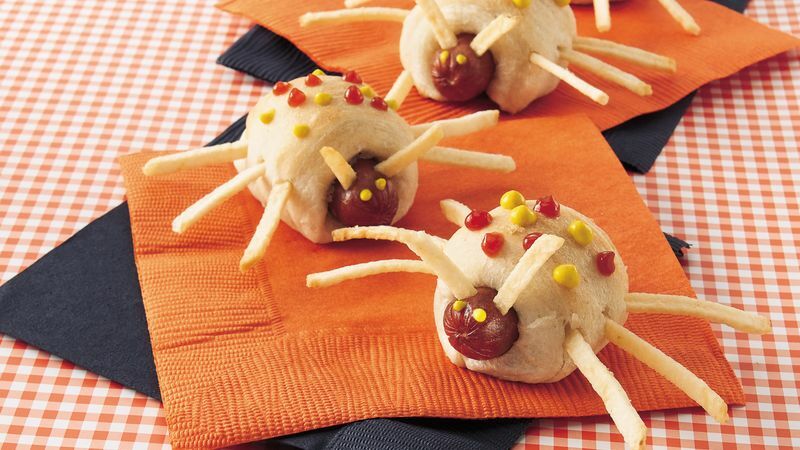 Decorate "bugs" with dots or stripes of ketchup. To make decorating easier, spoon the ketchup, barbecue sauce and mustard into separate small food-storage plastic bags. Seal the bags and cut a tiny hole in one bottom corner of each bag. Squeeze the bags to decorate the "bugs."